A RESCUE IN THE NIGHT -- When Alaric (Matt Davis) realizes that Jo (guest star Jodi Lyn O'Keefe) can't be compelled, he asks Elena (Nina Dobrev) to do some digging into her background. 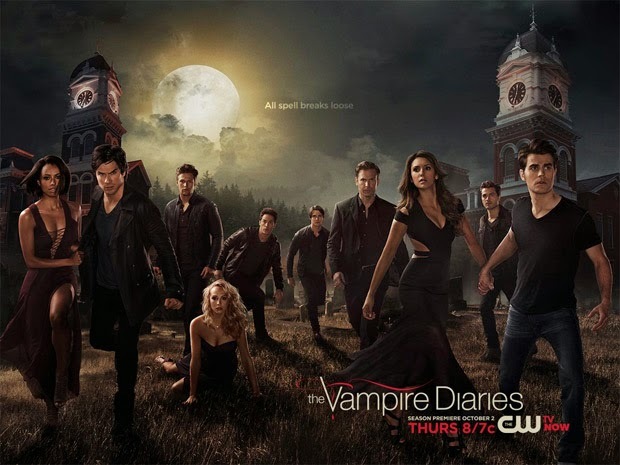 After learning that Enzo (Michael Malarkey) has been captured by Tripp, Caroline (Candice Accola) teams up with Matt and Stefan (Paul Wesley) to rescue him before Tripp learns their true identities. Armed with some new information about her past, Sarah (guest star Gabrielle Walsh) breaks into Tripp's (guest star Colin Ferguson) office and is surprised when she finds Matt (Zach Roerig) there, doing some investigating of his own. Meanwhile, Elena is forced to deal with the consequences of her actions, and Jeremy (Steven R. McQueen) hits rock bottom, lashing out in a destructive way. Lastly, Damon (Ian Somerhalder) is determined to take matters into his own hands when he receives some upsetting news. Garreth Stover directed the episode written by Chad Fiveash & James Stoteraux (#606).